Casey's Place provides a safe and encouraging environment for children and youth. While visiting Casey's Place, they enjoy the loving and healing qualities of the animals and staff alike.  LEARN MORE about the experiences at Casey's Place and all of the fun ventures the kids partake in! Click on image to register for the Summer Camp 2019! Do you want to be a part of building up confident & passionate children and youth who are at risk, troubled or have not been given a chance? Casey's Place is funded by people like YOU! Donating just $25 per month can help these kids who are in need. Children and Youth that we consider to be "at risk" include those who experience learning differences (such as ADD and ADHD), are in single-parent homes or who live with grandparents / alternate caregivers, or those suffering as a result of grief, abuse and/or emotional trauma. Our goal at Casey's Place is to encourage and equip these young people to believe in themselves and help them to discover their self worth by helping them to understand their circumstances do not determine their destiny. ​Did you know that 20 minutes with an animal is equivalent to a dose of ADD/ADHD medication? Give us a call today and see if we are what you have been looking for, 972-932-5156! "Casey's Place has given our kids a glimpse into a side of life they will probably never see again. The "farm" life offers so many opportunities for social/emotional growth and development, as well as learning opportunities for community responsibility for our world. What a blessing it has been." "Casey's Place is a wonderful gift of love and support to our children and community" We are greatly blessed to have them as a place of healing and love for children." Donate HERE to help a child in need.